The SALTO project was the central implementing mechanism for the U.S. Agency for International Development (USAID) Ecuador’s Economic Growth and Poverty Reduction Strategy. SALTO activities were designed to achieve multiple objectives under two components: development of the microfinance industry in Ecuador, and critical macroeconomic and structural reforms. A later initiative, the Competitiveness Pilot Program, provided cost-shared assistance to selected private sector clusters to help solve technical, marketing, or financing bottlenecks and build competitiveness in foreign or domestic markets. The principal clusters were the Cuenca-based leather industry and ecotourism development on Isabela Island, Galapagos. Another project supported exports by the Ecuadorian Food and Beverage Manufacturers Association to a U.S. market. 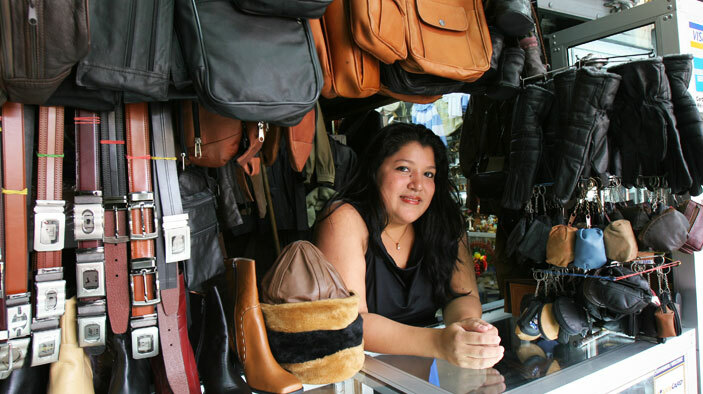 Finally, SALTO implemented a pilot initiative with Banco del Pichincha and Banco de Guayaquil to adapt microcredit techniques to their small and medium-sized enterprise clients. Strengthen selected microfinance institutions (MFIs) to address regulatory, supervisory, and policy issues critical for the growth of a microfinance market. Strengthen other elements of the financial system infrastructure (such as credit bureaus) on which MFIs rely. Develop a more transparent and effective process for preparation and execution of annual national budgets. Strengthen fiscal policy analysis capabilities. Participated directly in the significant expansion of the private sector microfinance industry in Ecuador over the life of the project. Developed a private credit bureau market in Ecuador by establishing the legal framework for such bureaus, promoting demand for credit report services, and attracting investor groups to establish new credit bureau companies in the country. Helped to restructure the Ministry of Economy and Finance according to “macro-processes” and produced a Products Manual that details the procedures for producing 20 of the most critical Ministry products, including budget reports and economic analyses. Promoted the Ecuador-United States Bilateral Free Trade Agreement (FTA) by preparing the Ecuadorian government for negotiation of the FTA, as well as trade-related reforms linked to the FTA. Provided comprehensive assistance for the Superintendency of Banks and Insurance, focused on stricter regulations and tighter supervision of financial institutions to prevent reccurrence of the financial crisis that devastated the Ecuadorian economy in 1999–2000.